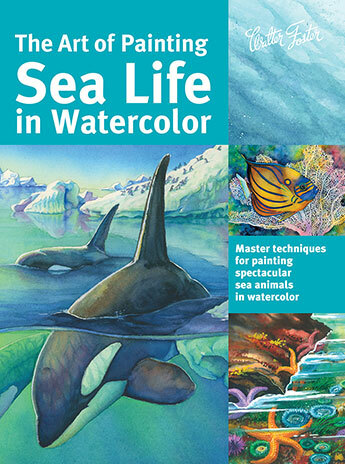 With a fresh, modern spin on this majestic subject, The Art of Painting Sea Life in Watercolor is a comprehensive and indispensable resource, packed with beautiful illustrations and expert instruction, for all artists smitten with the animal kingdom. With helpful tips and easy-to-follow lessons, The Art of Painting Sea Life in Water-colour will teach readers everything they need to know to create beautiful works of art in water-colour. 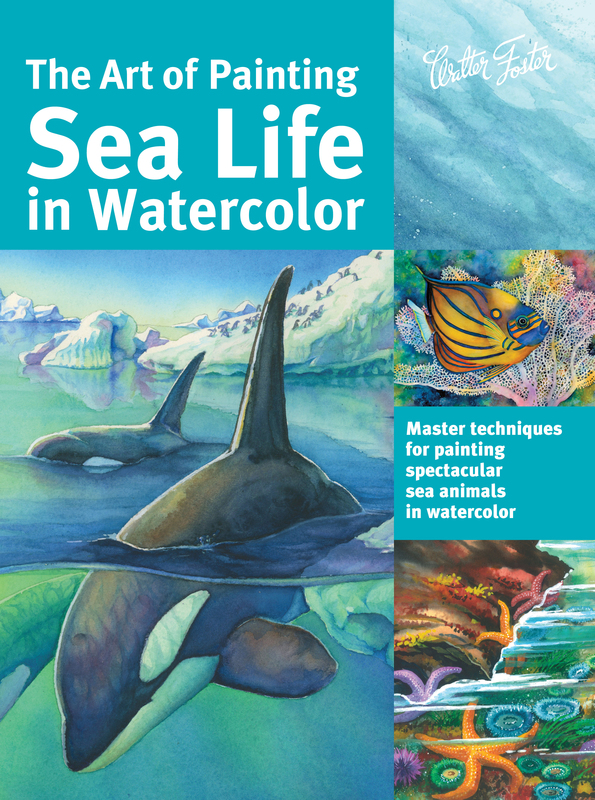 The Art of Painting Sea Life in Water-colour opens with a guide to essential information on the necessary tools and materials for both sketching and painting, including pencils, paints and brushes, palettes, supports, and mediums. In addition to learning about basic drawing and painting techniques and colour theory, readers will learn how to create compelling compositions, achieve depth, and render realistic textures. This new title in the Collector's Series features a large variety of stunning sea life, from an adorable sea otter to an magnificent whale. With a fresh, modern spin on this majestic subject, The Art of Painting Sea Life in Water-colour is a comprehensive and indispensable resource, packed with beautiful illustrations and expert instruction, for all artists smitten with the animal kingdom. Maury Aaseng has always been excited about drawing and art. After graduating with a BFA in graphic design from the University of Minnesota--Duluth, he moved to San Diego to begin an illustration career. His freelance work over the last eight years has spanned a variety of subject matter and styles. The range of his work has included anatomical illustration and cartoons for medical textbooks, informative illustrations for young adult non-fiction, custom water-colour work for independent authors, and logo design and creation. The variety has continued to fuel the creative spark that makes illustration work rewarding for him. In 2010, his artwork was featured in the Upstream People Gallery 7th Annual Colour: Bold/Subtle Juried Online International Art Exhibition. An avid nature enthusiast, Maury moved back to Duluth in 2009, where he supplements his illustration work with wildlife photography and painting, hiking, skiing, and canoeing in the northern forests that border Canada. Maury lives with his wife, who works as a graphic designer at the university. Louise De Masi is a wildlife artist who specialises in water-colour paintings. She sells many wildlife paintings on her easy shop at www.etsy.com/shop/LouiseDeMasi. Hailey E. Herrera is a watermedia and mixed media artist who loves learning new techniques and experimentation. She received her PhD at Texas A&M University, College Station and worked as a research scientist and lecturer at Virginia Commonwealth University for a short term before returning to her first love, art. She is a signature member of the Texas Watercolor Society. Visit her website at www.hailey-e-herrera.fineartamerica.com. Ronald Pratt is an associate member of the National Watercolor Society, California Watercolor Association, and a member of several San Francisco Bay Area art groups. His award-winning paintings are proudly displayed in homes and galleries around the world.